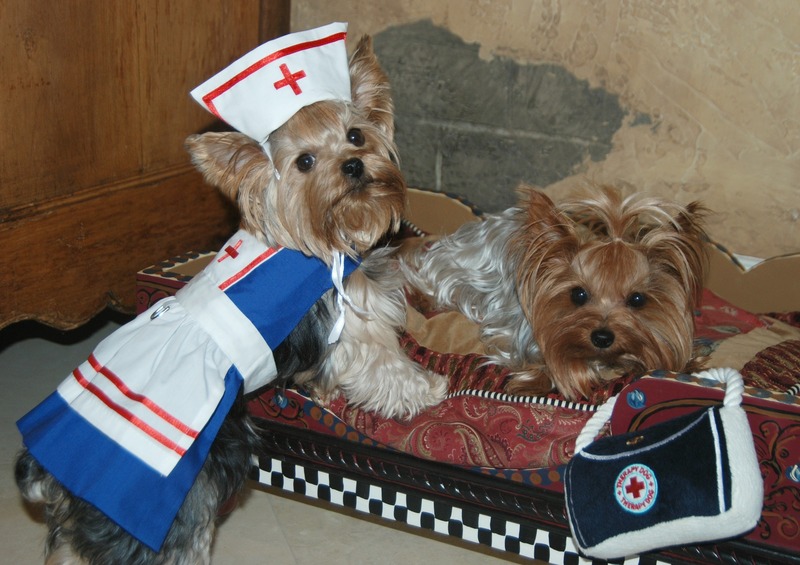 We’ve had a lot of little doggie friends lately who seem to have been “under the weather” for a variety of reasons…illness, allergies, eating things they should not have, etc…. So this week Mummy and I decided to do something a little different. We have researched several different items that might help out some of our sickly pals and hopefully it will help in their recovery…some of the info might even help in keeping future pals from getting sick. Ever since I wrote my cookbook, I have had people write to me and ask for a good recipe for doggies with upset tummies. If your doggie has an upset tummy with vomiting and diarrhea, put him on a bland diet like this for a day or two and he should be as good as new. Of course, you should ALWAYS contact your vet FIRST if your poochie is not feeling well! SEE A VET IMMEDIATELY IF A DOG HAS VIOLENT VOMITING AND/OR DIARRHEA, ESPECIALLY IF THE VOMIT OR EXCREMENT INCLUDES UNDIGESTED FOOD AND/OR BLOOD, OR IF THE DOG IS LETHARGIC. I have included a few other recipes I have used from the book “The Good Food Cookbook for Dogs” by Donna Twichell Roberts that you might also find helpful. I just love her little cookbook for doggies! Bring 2 cups water to a boil over high heat in a 3-quart saucepan. Add rice, reduce heat to medium-low, cover, and cook for 15-20 minutes until all water has been absorbed. Set aside. Meanwhile, bring remaining 2 cups water to a boil over high heat in a shallow saucepan. Add chicken breasts, reduce heat to medium, and cook for 15-20 minutes until chicken is cook through. Remove chicken from water. Let cool slightly, and cut into bite-sized pieces. Stir chicken into rice. Can pour some of the broth over the rice if desired. Makes about 1 quart. Serve this mixture is SMALL amounts 4-6 times during the day. As your pup is able to keep the food down and digest it normally, add a little dry dog food after several days. Keep the dog on this bland diet for 24-48 hours, until normal digestion returns; then GRADUALLY resume feeding him his regular food at his usual feeding times. Other bland foods to consider include: Cream of Wheat cereal, cottage cheese, and hard-cooked eggs. Bring water to a boil over high heat in a 3-quart saucepan. Add rice, reduce heat to medium-low, cover and cook for 15-20 minutes until all water has been absorbed. Set aside. Meanwhile, heat oil in small skillet over medium heat. Add ground beef and cook, stirring frequently, until meat is brown and cooked through, about 4-5 minutes. Stir into rice. Makes about 1 quart. Serve with heart diet dry dog food. Note that common signs of heart disease in dogs include: Shortness of breath, lethargy or sluggishness…SEE A VET IMMEDIATELY IF DOG HAS LABORED BREATHING OR FREQUENT COUGHING, OR IF HE COLLAPSES!!! Heat Oil in a skillet over medium heat. Add the duck or venison and cook, stirring frequently, until the meat is brown and cooked through, about 4-5 minutes. Makes about 1 quart. Serve with a dry dog food formulated for dogs with allergy problems. *Common symptoms of allergies include frequent to incessant scratching or rubbing, redness or welts on the skin, discoloration of fur…especially around the ears, eyes, mouth, and/or paws. SEE A VET IMMEDIATELY IF YOUR DOG BEGINS TO LOSE HAIR OR WELTS BECOME INFLAMED OR INFECTED!!! *Start with a blank slate…a food he has never eaten before, such as duck or venison. It used to be that lamb was the protein of choice in an allergy diet, but lamb-rice dog food is now quite common. So start with duck or venison, either one of which your dog will be delighted to find on his menu. *Serve it with a dry dog food formulated for allergy-prone dogs (check with your vet) for two months to make sure your dog is symptom-free. *Then add one ingredient, such as plain cooked rice or cooked carrots, and serve that combination for two weeks. This diet requires PATIENCE!!!! *Continue adding ingredients every two weeks until you see the allergic symptom return. Then you have identified the offending food or FOODS! There MAY be more than ONE!!! *Eliminate the problem foods altogether from your dog’s diet, and make appropriate substitutions. *If your dog appears to be allergic to wheat flour, you can possibly substitute rice flour or non-wheat products. *If he seems to be allergic to dairy products, eliminate them and substitute soy-based products. You can chop the herbs very finely and sprinkle them over your pup’s food or make an herbal tea by pouring 1 cup of boiling water over 1-2 teaspoons of dried herbs or 2-4 Tablespoons of fresh herbs. Cover and let steep for 10-15 minutes, strain well and let cool. Pour over their food. If your dog won’t eat the food with this mixture poured over it, you can always squirt it into his mouth, along his lower back teeth, with a plastic syringe. He will thank you later. 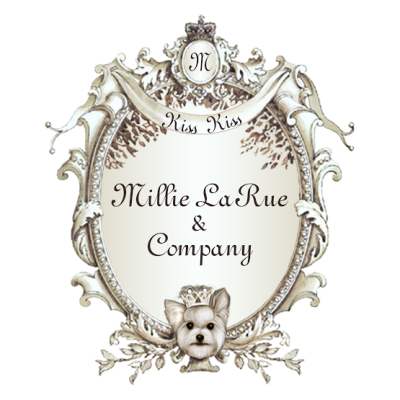 I have the following five books in my doggie library and refer to them often…I love all of them and have found MANY useful tips in each of them. The Nature of Animal Healing (The Definitive Holistic Medicine Guide to Caring for Your Dog or Cat) by Martin Goldstein, D.V.M. Holistic Guide for a Healthy Dog by Wendy Volhard and Kerry Brown D.V.M. Thanks for the good tips Millie! Bri likes eating grass so much that I have ordered a little wheat grass growing kit. uoi have seen my yard…so this way I will know exactly what she is eating! I’ll let you know how it works! Great article Millie. Lots of great info! Thanks! 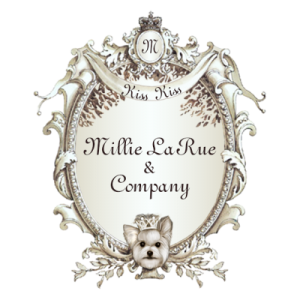 Oh Millie, love your Blog…1st time I was able to access it! Thank you so much for all the great tips on cooking for the pups…it will certainly be handy to have this!